_Media are of different types on consistency and chemical composition. 1. Solid Media. Advantages of solid media: (a) Bacteria may be identified by studying the colony character, (b) Mixed bacteria can be separated. Solid media is used for the isolation of bacteria as pure culture. 'Agar' is most commonly used to prepare solid media. Agar is polysaccharide extract obtained from seaweed. Agar is an ideal solidifying agent as it is : (a) Bacteriologically inert, i.e. no influence on bacterial growth, (b) It remains solid at 37°C, and (c) It is transparent. 2. Liquid Media. It is used for profuse growth, e.g. blood culture in liquid media. Mixed organisms cannot be separated. 2. Synthetic Media. These are chemically defined media prepared from pure chemical substances. It is used in research work. These are classified into six types: (1) Basal media, (2) Enriched media, (3) Selective media, (4) Indicator media, (5) Transport media, and (6) Storage media. 1. BASAL MEDIA. Basal media are those that may be used for growth (culture) of bacteria that do not need enrichment of the media. Examples: Nutrient broth, nutrient agar and peptone water. Staphylococcus and Enterobacteriaceae grow in these media. 2. ENRICHED MEDIA. The media are enriched usually by adding blood, serum or egg. Examples: Enriched media are blood agar and Lowenstein-Jensen media. Streptococci grow in blood agar media. 3. SELECTIVE MEDIA. These media favour the growth of a particular bacterium by inhibiting the growth of undesired bacteria and allowing growth of desirable bacteria. Examples: MacConkey agar, Lowenstein-Jensen media, tellurite media (Tellurite inhibits the growth of most of the throat organisms except diphtheria bacilli). Antibiotic may be added to a medium for inhibition. 4. INDICATOR (DIFFERENTIAL) MEDIA. An indicator is included in the medium. A particular organism causes change in the indicator, e.g. blood, neutral red, tellurite. Examples: Blood agar and MacConkey agar are indicator media. 5. TRANSPORT MEDIA. These media are used when specie-men cannot be cultured soon after collection. Examples: Cary-Blair medium, Amies medium, Stuart medium. 6. STORAGE MEDIA. 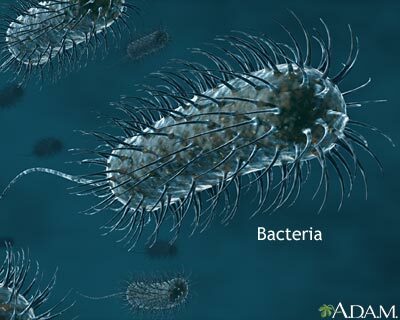 Media used for storing the bacteria for a long period of time. Examples: Egg saline medium, chalk cooked meat broth. Nutrient Broth. 500 g meat, e.g. ox heart is minced and mixed with 1 litre water. 10 g peptone and 5 g sodium chloride are added, pH is adjusted to 7.3. Uses: (1) As a basal media for the preparation of other media, (2) To study soluble products of bacteria. Nutrient Agar. It is solid at 37°C. 2.5% agar is added in nutrient broth. It is heated at 100°C to melt the agar and then cooled. Peptone Water. Peptone 1% and sodium chloride 0.5%. It is used as base for sugar media and to test indole formation. Chocolate Agar or Heated Blood agar. Prepared by heating blood agar. It is used for culture of pneumococcus, gonococcus, meningococcus and Haemophilus. Heating the blood inactivates inhibitor of growths. (1) Selective as bile salt does not inhibit the growth of enterobactericeae but inhibits growth of many other bacteria. (2) Indicator medium as the colonies of bacteria that ferment lactose take a pink colour due to production of acid. Acid turns the indicator neutral red to pink. 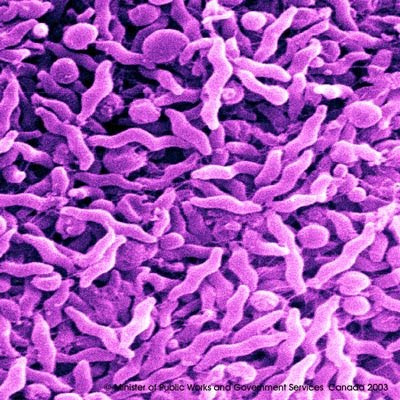 These bacteria are called 'lactose fermenter', e.g. Escherichia coll. Colourless colony indicates that lactose is not fermented, i.e. the bacterium is non-lactose fermenter, e.g. Salmonella. Shigella, Vibrio. Mueller Hinton Agar. Disc diffusion sensitivity tests for antimicrobial drugs should be carried out on this media as per WHO recommendation to promote reproducibility and comparability of results. Hiss's Serum Water Medium. This medium is used to study the fermentation reactions of bacteria which can not grow in peptone water sugar media, e.g. pneumococcus, Neisseria, Corynebacterium. Lowenstein-Jensen Medium. It is used to culture tubercle bacilli. It contains egg, malachite green and glycerol. (1) Egg is an enrichment material which stimulates the growth of tubercle bacilli, (2) Malachite green inhibits growth of organisms other than mycobacteria, (3) Glycerol promotes the growth of Mycobacterium tuberculosis but not Mycobacterium bovis. _ Dubos Medium. This liquid medium is used for tubercle bacilli. In this medium drug sensitivity of tubercle bacilli can be carried out. It contains 'tween 80', bovine serum albumin, casein hydrolysate, asparagin and salts. Tween 80 causes dispersed growth and bovine albumin causes rapid growth. Loeffler Serum. Serum is used for enrichment. Diphtheria bacilli grow in this medium in 6 hours when the secondary bacteria do not grow. It is used for rapid diagnosis of diphtheria and to demonstrate volutin granules. It contains sheep, ox or horse serum. Tellurite Blood Agar. It is used as a selective medium for isolation of Cotynebacterium diphtheriae. Tellurite inhibits the growth of most secondary bacteria without an inhibitory effect on diphtheria bacilli. It is also an indicator medium as the diphtheria bacilli produce black colonies. Tellurite metabolized to tellbrism, which has black colour. EMB (Eosin-methylene blue) Agar. A selective and differential medium for enteric Gram-negative rods. Lactose-fermenting colonies are coloured and nonlactose-fermenting colonies are nonpigmented. Selects against gram positive bacteria. XLD (Xylose Lysine Deoxychoiate). It is used to isolate Salmonella and Shigella species from stool specimens. This is a selective media. SS (Salmonella-Shigella) Agar. It is a selective medium used to isolate Salmonella and Shigella species. SS Agar with additional bile salt is used if Yersinia enterocolitica is suspected. DCA (Desoxycholate Citrate Agar). It is used for isolation of Salmonella and Shigella. The other enteric bacteria are mostly inhibited (a selective medium). It is also a differential (indicator) medium due to presence of lactose and neutral red. Tetrathionate Broth. This medium is used for isolating Salmonella from stool. It acts as a selective medium. It inhibits normal intestinal bacteria and permits multiplication of Salmonella. Selenite F Broth. Uses and functions are same as that of tetrathionate broth. _Thiosulphate-Citrate-Bile-Sucrose (TCBS) Agar. TCBS agar is a selective medium used to isolate Vibrio cholerae and other Vibrio species from stool. Charcoal-yeast agar. Used for Legionella pneumophila. Increased concentration of iron and cysteine allows growth. Tellurite-Gelatin Agar Medium (TGAM). It may be used as transport, selective and indicator medium. Alkaline peptone water. See under Vibrio. (Chapter 51). Campylobacter Medium. This selective medium is used to isolate Campylobacter jejuni and Campylobacter coli from stool. Cary-Blair Medium. It is used as a transport medium for faeces that may contain Salmonella, Shigella, Vibrio or Cam­pylobacter species. Amies medium is used for gonococci and other pathogens. _ Peptone Water Sugar Media. These indicator media are used to study 'Sugar fermentation'. 1 % solution of a sugar (lactose, glucose, mannitol etc) is added to peptone water containing Andrade's indicator in a test tube. A small inverted Durham tube is placed in the medium. The media are colourless. After culture, change of a medium to red colour indicates acid production. Gas, if produced collects in Durham tube. Motility Indole Urea (MIU) Medium. This is used to differentiate enterobacteria species by their motility, urease, and indole reactions. TSI (Triple sugar iron) Agar- See chapter 53. KIA (Kligler Iron Agar). This is a differential slope medium used in the identification of enteric bacteria. The reactions are based on the fermentation of lactose and glucose and the production of hydrogen sulphide (chapter 53). Christensen's Urea Medium. This is used to identify urea splitting organisms, e.g. Proteus. A purple pink colour indicates urea splitting (See chapter 53). Bordet-Gengou Medium. This medium is used for culture of Bordetella pertussis. Increased concentration of blood allows growth. It contains agar, potato, sodium chloride, glycerol, peptone and 50% horse blood. Penicillin may be added to it.